BelarusDigest > All > Belarus Ex-Officials in Russian Business: Effective Managers or Kremlin Agents? Over the last decade, Russian companies became the most desired place of employment for many Belarusian top ex-officials. They offer huge salaries compared to those in Belarusian public service. While some Belarusians settle in Moscow, others become local representatives of Russian interests. Belarusian officials can offer extensive contacts within the Belarusian establishment and effective lobbying of business interests. This growing group, closely affiliated with Russian elites may become an important factor in Belarusian politics. Potentially, Russia can use them to press its interests and even change the current Belarusian regime. On October 15, former Minister of Foreign Affairs of Belarus, Siarhei Martynau was appointed a special representative of the Russian oil company “Russneft” in Belarus. Martynau has recently resigned from Belarusian diplomatic service, where he held a minister position since 2003. Martynau presents just one case of pathway which became quite popular for Belarus officials in recent decade. Often, senior bureaucrats take this path after Lukashenka loses confidence in them or fires then for some sort of misdeed, like corruption or a policy failure. Big Russian business becomes an attractive place to continue their careers for several reasons. First, Belarus officials have close ties with their Russian colleagues, often since Soviet times. They graduated from the same Communist Party or KGB schools, worked in bilateral projects and bodies of government, share a common language and post-Soviet culture. Second, big Russian corporations offer salaries which are indeed huge compared to salaries in Belarusian public service which amount to only a few hundred dollars a month. 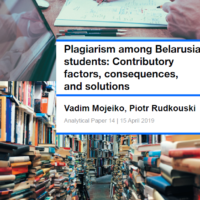 Last but not least, western careers of Belarusian officials are considerably restricted by various factors such as absence of ties, lack of understanding of the western world, or merely a language barrier. Here are most notable cases of Belarusians who work in Russian companies. As this small list shows, “siloviki”, or representatives of security agencies, make the largest group of high-ranking labour migrants. It is a widely known fact that most people that occupy high positions in the Belarusian security services were born and educated outside of Belarus. They belong to a “post-Soviet” rather than national security class. Having no national sentiments and devotions, they can easily change their sphere of interest from Belarusian security to Russian natural gas. No surprise that of the whole Belarusian elite, these people are probably the closest friends of Putin’s clan which rules Russia. The rest of Belarusian top migrants come from economic and financial management. They mostly descend from Belarus, but equally have connections in the Russian establishment and receive high-income positions in corporations. Most popular among Belarus officials are state owned companies (so called “state corporations”) and companies where the state is a major shareholder (like Gazprom). Of course, it is easier for Belarusians to occupy a position in a state company than in private company due to their contacts and management experience. Managing a half-socialist economy is not a big skill in a highly competitive market environment. Business Managers or People of Kremlin? Thus, hospitable Russians offer generous rewards for people disregarded or dismissed by Lukashenka. For Russian companies which work in Belarus employing a representative of local establishment is an important part of business strategy. In non-democratic regimes where informal rules and connections play a crucial role in politics and economy, intra-elite links play a major role. But does business only matter here? The fact that most Belarusian ex-officials work in Russian state corporations proves this may not be true. Over the last decade, Russia considerably expanded its economic presence in Belarus. It bought “Beltransgaz” (Belarusian gas transportation system) and two big state banks. Belarus is negotiating selling its major oil assets – Navapolatsk and Mazyr refineries, and the creation of the truck holding Belarusian MAZ with Russian Kamaz, to mention only the biggest deals. Also, Russians are buying a lot of property in Belarusian cities and in the countryside. Growing economic influence means growing leverage on Belarusian politics. 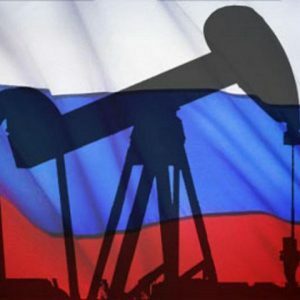 Russia is known for the use of economic tools, especially in energy sector, to achieve its political goals in its neighborhood and beyond. Having half of the Belarusian economy in their pockets, Russians will be able to set the agenda inside Belarus. Ex-officials and other Belarusian bureaucrats connected to Russian business serve as potential allies in taking over the Belarusian economy. Later they can even form a political group with a Russian orientation to balance some pro-western groups that are likely to emerge after Lukashenka. In any case, Belarusian politicians should take these high-flying migrants seriously. Lukashenka himself probably feels that his control over bureaucracy decreases as they switch to Russian salaries. A recent initiative to cut the number of bureaucrats and thus to increase wages in public sector may slightly improve the problem. However, it cannot fully resolve the problem in the current political regime. Belarusian third sector demonstrates a remarkable diversity of activities – from campaigns to save trees and energy to initiatives against drug abuse and new student organisations. New student association – BOSS. On October 5, Minsk hosted a conference on student self-government, where students discussed the situation with self-government in the Belarusian universities. The result of the conference was the creation of the Brotherhood of Organizations of Student Self-government (BOSS), aimed to carry out the coordinating work to protect the rights and interests of students. IT geeks for civil society. Drupal-gathering which to take place on December 15-16, announces a competition for social projects, initiatives and CSOs to create their website for free in one day. The organiser is youth CSO "Falanster". Cyclists at the border. Group of Belarusians managed to get into Poland on the bikes at the checkpoint Brest – Terespol ("Warsaw Bridge"), which was impossible for cyclists before. The action was held by the Brest youth NGO "Dzedzich" and Minsk Cycling Society, under the campaign "For Cycling Brest!" MaeSens.by – 1! On November 11, a charity auction of meetings MaeSens.by celebrates its one-year anniversary. The project goal is to raise funds for the treatment of seriously ill children and orphanages. Funds collected through the auction – anyone can put up a meeting with him/her or to buy a lot with a person he/she likes. The reports on the use of funds are available on the website. In 2012, the project was awarded in the category "Best Startup of the Year". Training for entrepreneurs. On October 23, the Bel.Biz team held a training in Minsk entitled “How to become a more effective manager?” 14 representatives of small and medium enterprises took part in the event. The training was one of 44 trainings available within the international program for representatives of SMEs ‘Business Edge’ (BE). These trainings have been designed by IFC and held in Belarus with USAID support. Trees rally. Youth activists of "European perspective" held a rally in support of the local residents who are struggling to keep the park of Friendship of Peoples. On October 30, in the park the posters appeared on the trees: "Investors, be friends for the park! ", "Officials cut down us!" Activists of the districts Vostok-2 and Uruchcha-2 signed an open letter in which they expressed their "solidarity and support for citizens of the Soviet district, who protect the park "Friendship of Peoples" from trees' cutting". The appeal also calls for the city administration to abandon plans to build a sports center in the Park, "not to provoke social conflicts." The process of negotiations between citizens and authorities is facilitated by civic initiative "European perspective." "Swamp" campaign launching. On October 25, a public campaign for the preservation of wetlands in protected natural areas has been launched. The initiators of the campaign are APB BirdLife Belarus, Green Alliance, EcoDom, Center for Environmental Solutions. The campaign started with collecting signatures through the website Change.org. Also a public appeal to the relevant government authorities is being prepared. The Festival of Energy-Saving Ideas starts in Belarus. It is timed to the International Day of energy saving, which is annually celebrated globally on November 11. This year, the Center for Environmental Solutions proposes to hold the Festival under the slogan "Tie Socks – Turn off the Heater!" One of the main Festival's category "Best pair of warm socks" will assess handmade socks ​​of natural materials submitted to the competition. The winners will get e-books, all the socks will be sent to an orphanage. Belarusian Transport Experts Learn from Lithuanian Experience. On September 24-27, representatives of the Belarusian Union of Transport Workers (BUTW) travelled to Vilnius on a study tour organized by the Brussels-based Office for a Democratic Belarus in cooperation with the Office for European Expertise and Communication (Minsk, Belarus) in the frames of the project “EU and Belarus: Sharing Knowledge”. The Lithuanian National Road Carriers’ Association LINAVA hosted the event in Vilnius. On October 4, the Second National Conference, entitled “Public Transport in the Republic of Belarus: current state and perspectives of development ” took place in Minsk. More than 80 delegates from all six regions of the country, including representatives of the local authorities, transport companies and vehicle manufacturers joined the conference. Journalism for people with disabilities and without. The initiative group "Step Forward" invites to participate in a session for young people of 16-30 years. The workshop is to be held on November 3-4, in Grodno. The participants will not only get the basic knowledge and skills on journalism, but also learn how to properly raise the topic of disability in the media. Antimak. Coordinator of the public initiative "Antimak" Alexander Shpakovsky and journalist Euroradio Yevgeniy Voloshyn made ​​a ‘raids’ around Minsk and found that finally it became difficult to get "bubki" – poppy seeds mixed with opioids, the most popular raw material for drugs’ producing in Belarus. Activists do not expect that this situation will last for a long time, because the new Law "On Drugs", which came into force at the end of October, contains nothing to prohibit "bubki." Discussion "Art and new media". On October 25, in Minsk (free cafe "Fisher House") online magazine "New Europe" will conduct a discussion "Contemporary art and new media in Belarus". The event is to be attended by editors of portals 34mag.net, ArtAktivist.com, CityDog.by, Generation.BY, KyKy.org, pARTisanmag.by. The film "Square. Women". A new documentary "Square. Women" was posted on YouTube portal. The idea of ​​the film belongs to the well-known writer Svetlana Aleksiyevich. The film was shot with a cell phone's video camera. The plot includes a number of ordinary conversations with far from the politics women whose life has changed since the events of December 19, 2010. Inconvenient films discussion. On October 22, the Lithuanian Centre for Human Rights and the Belarusian Human Rights House invite to a screening of the film “Belarusian Dream” and a discussion "Is it possible to dream in the Island of Stability?" The invited panelists are Freedom House Project Director Vytis Jurkonis, editor of the independent newspaper "Vitebskij Kurier" Oleg Borschevskij, Coordinator of “European Belarus” civic campaign Pavel Marynich, etc. ‘Belarus in Focus 2012’ is the second edition of a competition for journalists writing about Belarus for an international audience. Held by Solidarity with Belarus Information Office in collaboration with Press Club Polska, the competition aims to highlight articles that attempt to present a new, original side to Belarus and explore the country beyond the label of ‘Europe’s last dictatorship’. The deadline for submissions is January 15, 2013. Viva Belarus! /Жыве Беларусь! The first trailer of movie Viva Belarus! is available on YouTube. The plot is based on the true story and tells about modern Belarus, youth and its struggle for democracy. The screenplay was made by Krzysztof Łukaszewicz and Franak Viachorka. The film is accompanied by music of rock-legend Lavon Volski. Premiere of the film took place at the Cannes Film Festival on May 22, 2012.